This picture was taken by my late mother as she was leaving Islay from what turned out to be her last visit. You can see River Laggan on the bottom of the picture, Laggan Bay with the Big Strand on the right and the Low Road on the left. 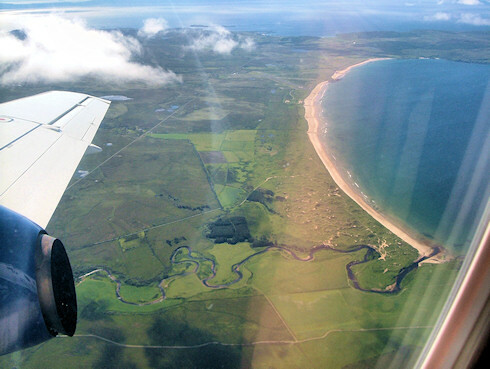 There are a few more pictures in the Islay From The Air Revisited entry and the related Islay From The Air on 25/Jun/2007 special.